The entrance to 45 Rockefeller Plaza. Across the street was Saks Fifth Avenue. The NBC studios are to the south (beside the skating rink). This was the home of Protostorm (on the 20th Floor). 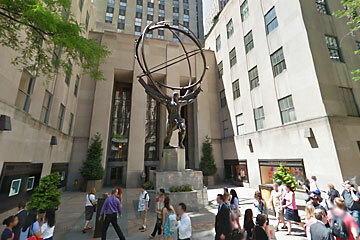 The "Rock" is a complex of 19 art deco buildings in Midtown Manhattan and they're a "must see" inside and out. The main lobby of 45 is black marble with brass highlights. It also connects to a massive underground with restaurants and the New York subway, which is great during bad weather days. 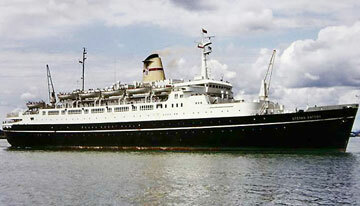 The Stefan Babory is the ship I sailed on to cross the Atlantic on my way to England. Although it has been retired, you can read about it here: Stefan Batory. As a student of Chaucer, of course I ended up going to Canterbury. It is also the birth place of Christopher Marlowe (who was born the very same year as "The Bard" by coincidence). Marlowe was murdered in Deptford in 1593 amid mysterious circumstances and buried in an unmarked grave. The man who killed him was pardoned by Queen Elizabeth I, herself, two weeks later. I also spent a lot of time in St. Maarten in the early '90s before I started working on the CD-ROM game projects. It's a tiny island run by two countries with two airports. 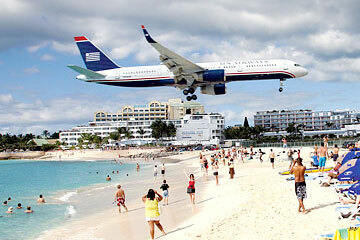 One is right on the edge of Maho Beach and you won't believe how close the planes come. Here's a video to give you an idea. Although I've been located in different buildings around Toronto - north, south, east and west, none comes close to this gorgeous little building at the intersection of Church and Front. The location is the original main intersection of the city back in 1834. 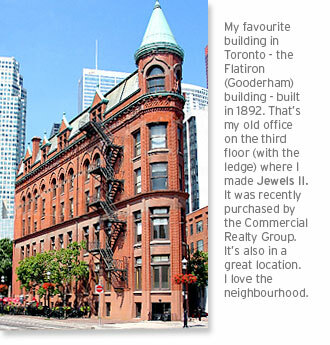 Nearby, is the original City Hall (at Front and Jarvis). 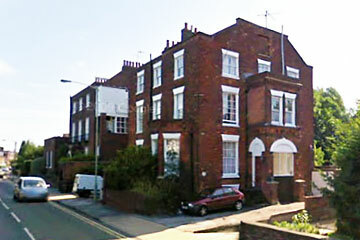 My old apartment in Canterbury. An old manor house, it was located nearby the University of Kent, I got to attend art lectures including those of Lord Kenneth Clark (who was in residence at the time). The Cathedral is the seat of the Archbishop (principle leader of the Church of England). It is also where Thomas Becket was killed in 1170 after disagreeing with Henry II and it is also the resting place of Edward, the Black Prince (1330 - 1376) who was the father of Richard II. I have always admired Edward's coat of arms and his reputation for chivalry on the battlefield.